/ How to Rate maps? Rate maps to help others know which are the good maps. Highest rating maps may be added as official DragonBound maps to the game. RE: How to Rate maps? Damn... I didn't wanted to rate Clouds map with 1 star, is there any possibility to change it to 5 stars? 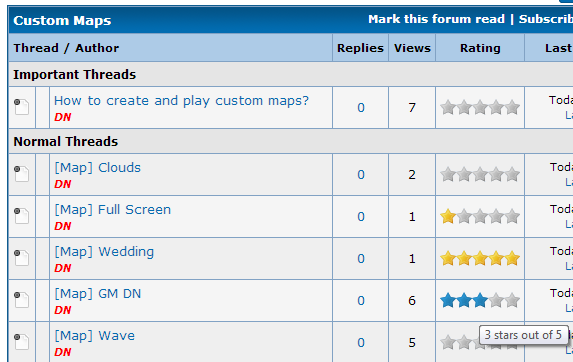 This forum threads are now sorted by rating. High rated maps will appear first. muy bueno eh, asi se puede ver cuales son los pots de interes.